The New Year is fast approaching and many of us are wanting to add money to our savings accounts. The brunt force hit of Christmas shopping really makes you want to save, save, save after ward! I have made it easy for you and created a Money Saving Printable that you can print and use to save money. You are going to LOVE this 52 Week Money Saving Challenge. One of my favorite planners to use for my budgeting is the Erin Condren Budget Book, it is cheap only $6, but it I love how it is set up. If you go here you will get a FREE $10 credit to use towards your first Erin Condren purchase. The 52 Week Money Saving Challenge is easy to follow. I know some people like to work from highest amount to lowest amount and others like to do the money saving challenge in reverse so I made a printable for both ways. Doing the Money Saving Challenge you will end up with $1,378 in your savings account! That is a nice amount to get start with your emergency fund, or anything else that you are saving money for. How it works is each week you make a deposit to your savings account (if you don’t have a savings account you can use a glass jar, envelopes ect) any will work and you can sign up for a FREE Savings account here from Capital one (they are who i use for my kids savings accounts) , week 1 you deposit $1, week 2 you deposit $2 week 3 $3 and so on and so on each week! 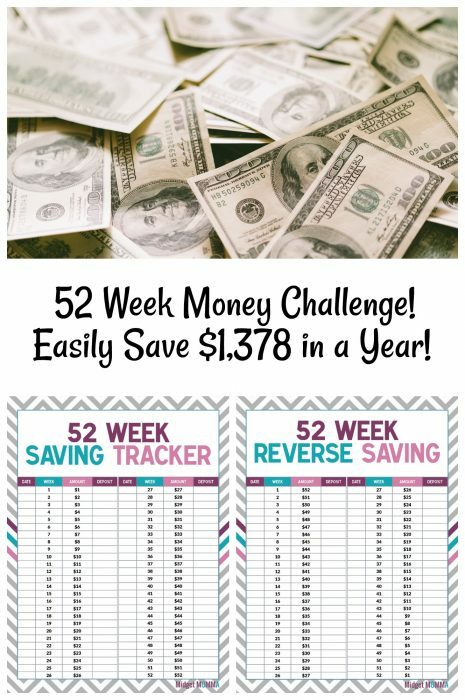 You can print the 52 Week Money Saving Challenge Saving Tracker here or the 52 Week Money Saving Challenge Reverse Saving here. – Just download and print it. 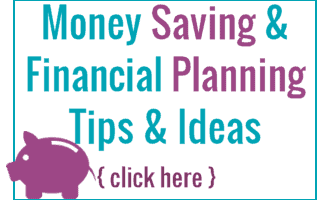 To get on the savings train there are a lot of tips and tricks to saving money. Make sure you also check out the tips for how to put more money in your savings account. Looking for more ways to save money? Check these out! Want to stop living pay check to pay check? Check out this post here for some great tips! I saw this last year on multiple blogs and loved it…. didn’t do it cuz …. well, just cuz. But it is an awesome idea!! !